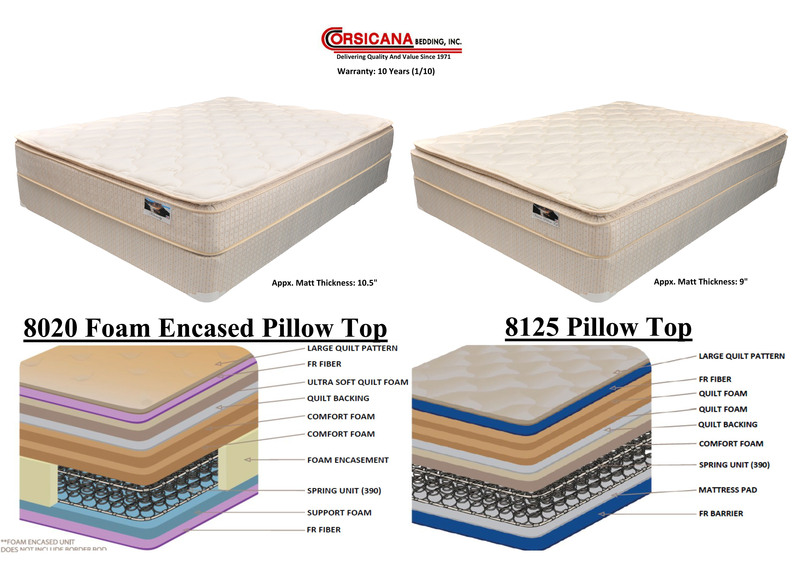 Pillow Top Mattresses - we carry the Seville #8125 & #8010 in standard Queen and RV short. 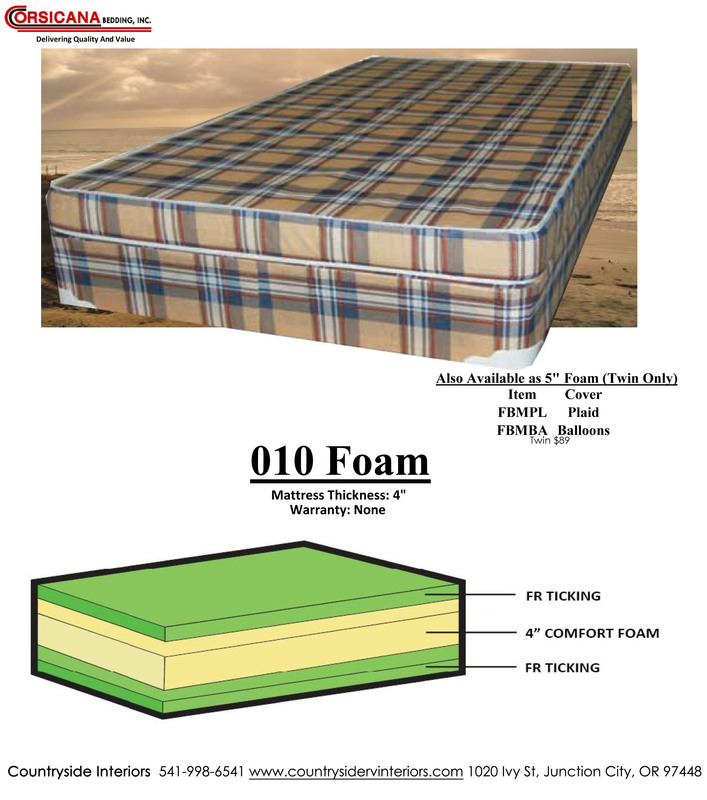 The #8002 & #8125 feature quilted tick big pattern, FR Fiber, 3/4" - 1.5" Ultra Soft Quilt Foam, Quilt Backing, 1-2" Comfort Foam, 1" Support Foam, & 390 Spring Unit. 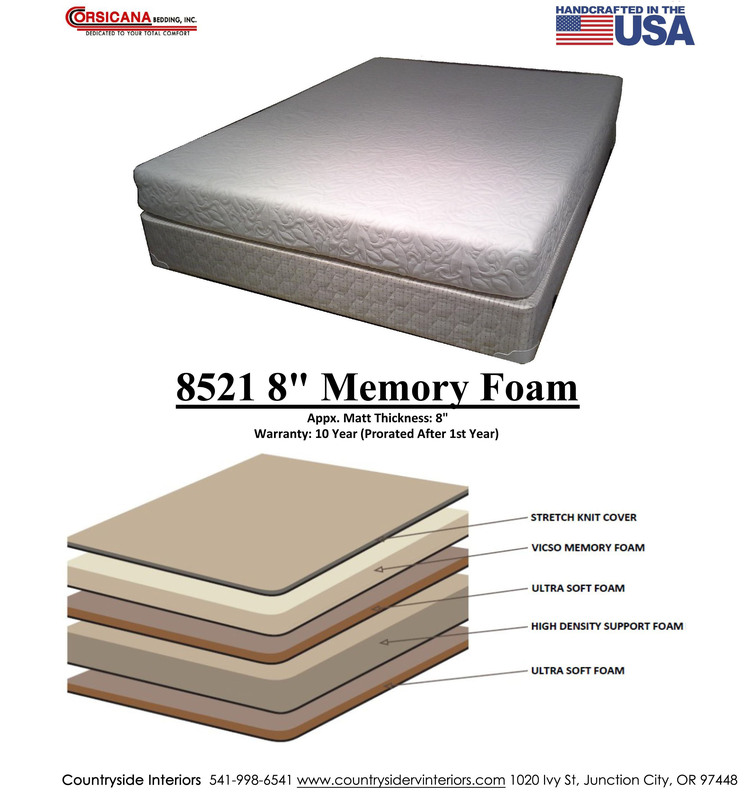 The #8125 mattress thickness: 9" & #8310 mattress thickness: 11". 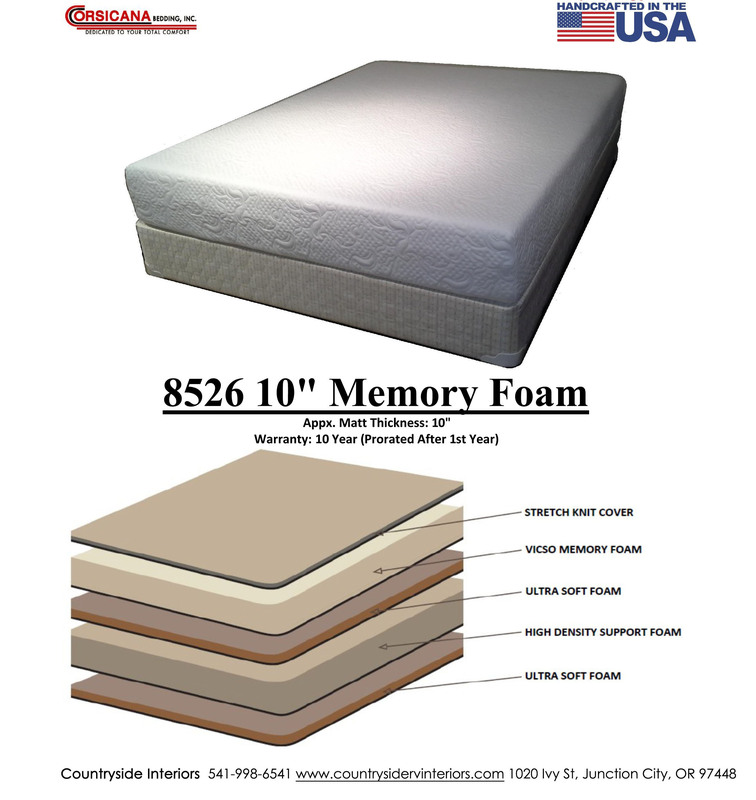 All mattresses includes a 5 year warranty prorated after the first year. 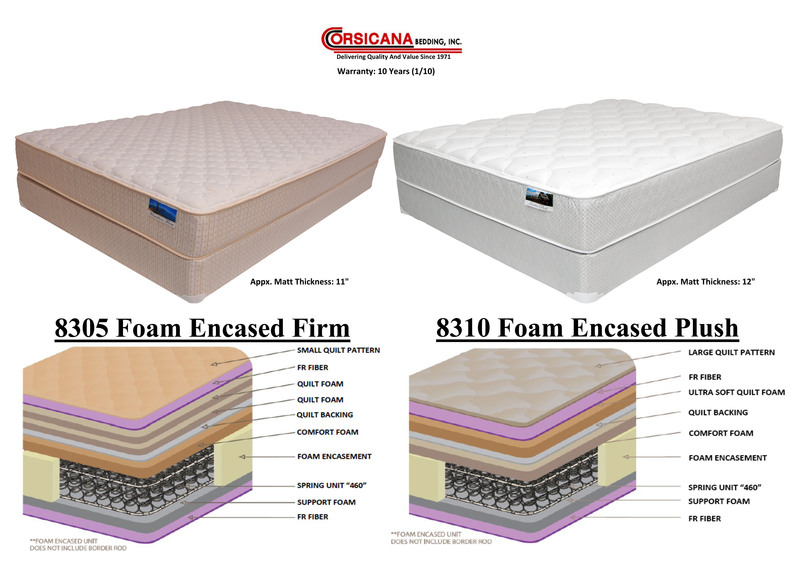 Come in today to try our mattresses out, both located on our showroom floor. If you want shorter or narrower $70 upcharge. Foam Mattresses at bottom.